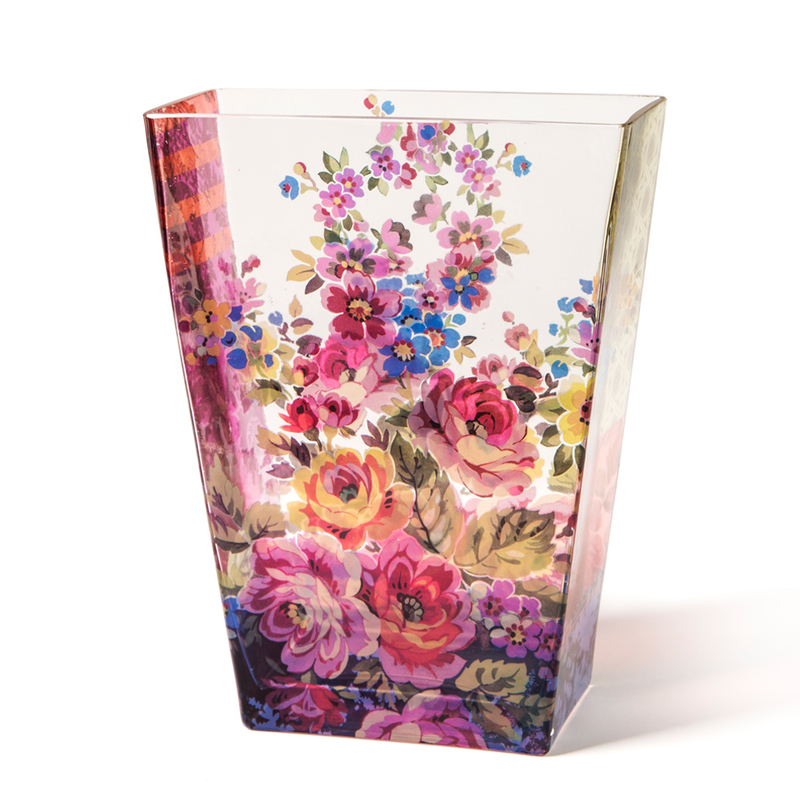 This Vase has a rich foliage of flowers which looks as if a painters imagination ran wild. 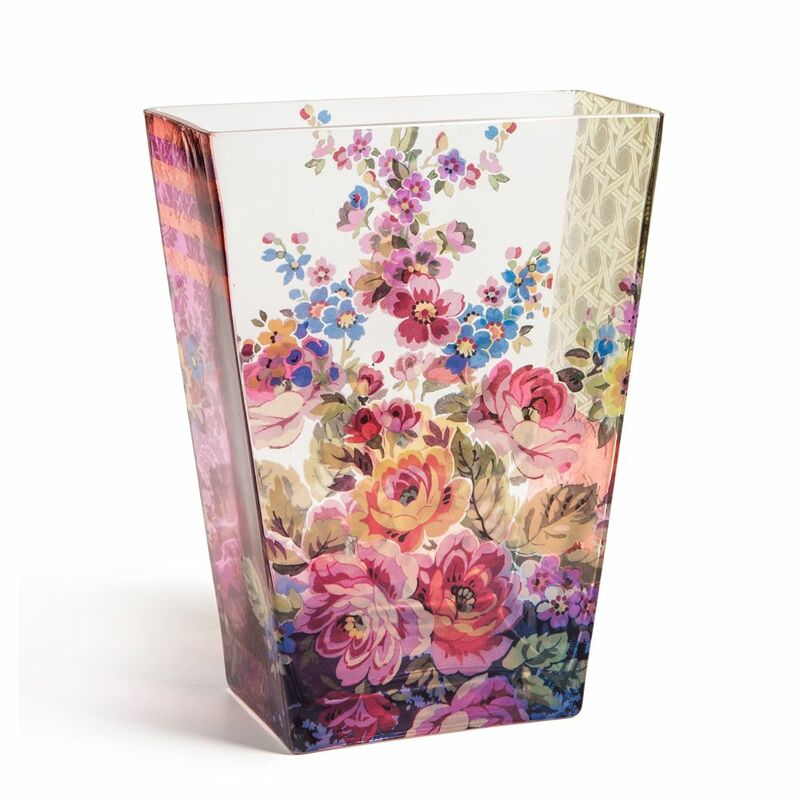 Wild, yet exquisitely beautiful this vase is a show piece. This product has the design printed on the glass.